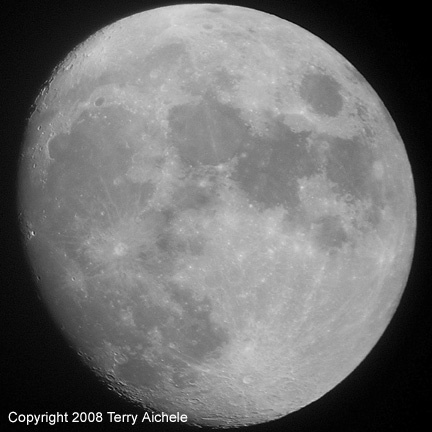 Photo of the moon taken on May 23, 2008 by Terry Aichele. March than it has been during the end of March and all of April. of my favorite shots from the evening.